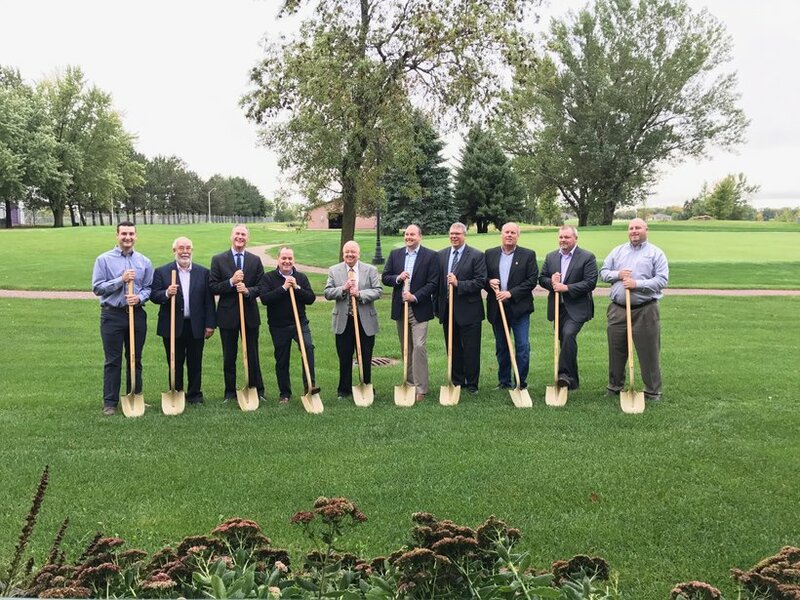 There was an air of excitement in Beresford, South Dakota today as Hendrix Genetics and local officials welcomed the community to a ground-breaking ceremony on their new commercial turkey hatchery. This hatchery represents a new way of working, whereby turkey farmers can purchase their poults directly from the primary breeder. Approximately 100 people from the community and local media joined members of Hendrix Genetics, the city of Beresford and state of South Dakota to witness the first step in making this hatchery a reality. Prior to the official breaking of ground the audience heard a few words from those involved in the project. 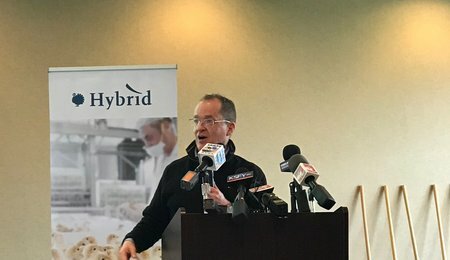 Scott Rowland, GM Americas for Hybrid Turkeys talked about the global status of Hendrix Genetics and the history of involvement within the USA. 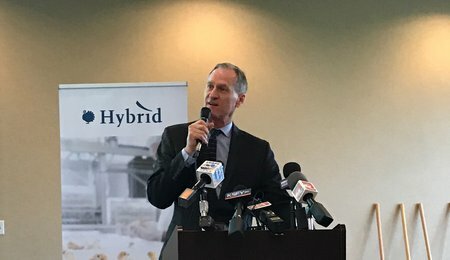 He highlighted the reasons that brought Hendrix Genetics to Beresford and commended the supportive teams within the city and state. Today’s event represents progress and new beginnings. It signifies a turning point from planning to action. 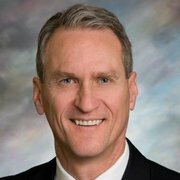 Governor Daugaard highlighted what this hatchery investment means to the local community and to the state of South Dakota. With the strong agribusiness community in South Dakota he feels Hendrix Genetics will fit in nicely. On behalf of the State of South Dakota, I’d like to formally welcome Hendrix Genetics to Beresford. Thank you for investing in our state, in our community and in our people. We are proud to be here and are excited to get started! 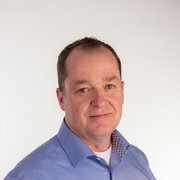 Earlier this year Hendrix Genetics announced major investment in the US turkey industry with plans to build a modern distribution network focused on delivering top quality products that suit the needs of the market. 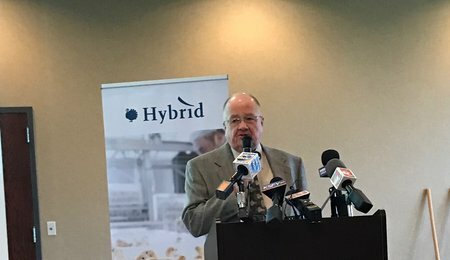 This hatchery will join the Hendrix Genetics network of owned, aligned and contracted hatchery capacity set up to supply the strong demand for Hybrid genetics in the USA. In addition to this commercial hatchery, construction is complete on a new parent stock hatchery in Nebraska and construction has begun on multiple new farms to supply the 2 hatcheries.